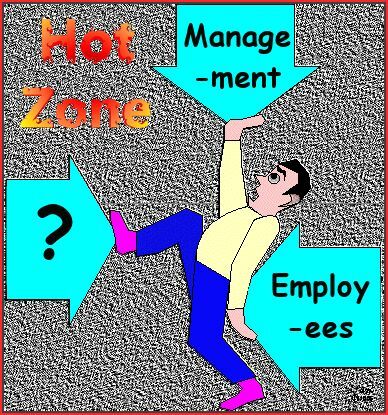 A high-pressure job with huge influence, the supervisor stands at the critical core of most companies, in the hot zone between workers and management. This role can significantly help or hinder a company’s well-being. The champion supervisor learns to use this position to help others grow. To do this well, a supervisor must learn five skills: dreaming, selling, training, planning and collaborating. The skills of an effective workplace coach, a champion prospector. As supervisor, you are in a highly visible job. Do and say everything you do as if you are being watched, because YOU ARE. But, don’t be self-conscious, be talent-conscious. Become skilled at recognizing the good work of others. Attach a profit-value to what people do naturally. For example, if an employee demonstrates influence — spoken words, good or bad, are repeated by others — find a job where that employee can practice those skills to benefit your company. Of course, you want to encourage the good words, not the bad ones. Determine and then become the supervisor your company really needs. You have the position, the opportunity and the skills.